Halloween costumes and Pumpkin-Spiced Lattes are now behind us, while Christmas Decorations and Peppermint Mocha have taken their place. For most folks somewhere between the sugar buzz from the 31st subsiding and carving the Thanksgiving turkey, Christmas gift planning starts to churn in the backs of our minds. If you’re buying for someone in your life that casts a fly rod, you might be dreading that purchase. Why? Maybe you feel like fly fishing gear costs too much, or maybe you know that person to be picky with their gear. You’ve come to the right place. This post will focus on introducing someone to the sport of fly fishing. This is a no-fail gift option: Amazon Prime Membership, $99. There are a lot of upsides to having a Prime membership, but the best one is the free two-day shipping on all products that are Prime eligible. I get nothing for sharing this with you, but if you’re shopping for the guy/girl who has everything this is a guaranteed hit. A Prime membership is more than just free shipping too. Free TV, free music, free books, and Prime Now lets you buy things and have them delivered in as little as an hour after you ordered it! Sorry, I don’t want to sound like an Amazon Prime ad, but this is a pretty great gift idea. My Prime membership pays off in spades during the holiday season because I can get almost ALL of my gifts purchased and shipped quickly without costing extra. With the money I saved I can afford to have them gift-wrapped as well. In the spirit of saving money, I am going to include the link to Amazon for as many products as I can. Has your gift recipient been dropping hints about wanting to try fly fishing? Great! This section is full of introductory gifts for that aspiring angler! Nippers. You can spend big money on a pair of nippers from reel companies. I mean, $50-$100 is too much to spend on something I have used a pair of nail clippers for almost my entire fishing career. Unless you’re buying for a fly-fishing guide, I’d steer clear of those. Nail clippers work just fine, and if you take the little arm off them, they even look the part. That said, This post is for gifts no one will hate and if you gift wrap a pair of nail clippers for that beginning angler in your life, they certainly will. More importantly those “nippers” are missing something vital to anyone that uses head cement on their flies, a little needle point. However, these nippers don’t cost much more than a set of clippers from Walgreens, have the little needle point that clears head cement or untangles wind knots, and they are dressed respectably for any angler. The guys from troutster.com sell THESE NIPPERS on Amazon and bonus, they’re Prime™ eligible. That means you don’t pay for shipping, leaving them at a cool sub $10 price point. Hemostats/Forceps: No angler can hit the water without a way to safely remove hooks from the mouths of small fish, pinch barbs of flies, tie some knots, and stop arterial blood flow. 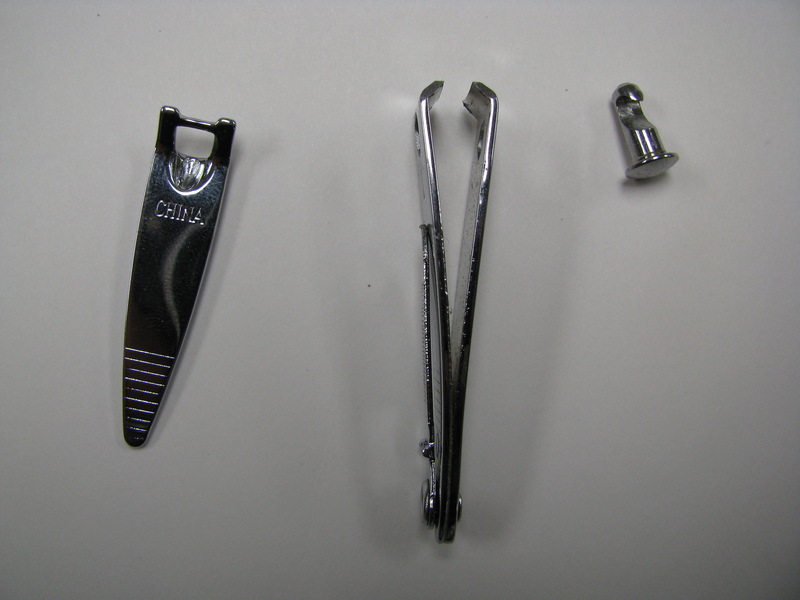 Enter the hemostat. Also dubbed forceps by many manufacturers, they are extremely handy tools on the water. They can also be very expensive. Dr. Slick is the industry standard and most recognizable name. Their product will run about 20-30 dollars depending on the bells and whistles. Orvis makes a nice pair for below $20. A quick internet search will also return many viable options. Just look out for two things; they need to be stainless steel, and they need to lock shut. Try these for $6.99 (prime eligible too)! El Poquito. This little guy from SmithFly ($25.00) is the perfect way to carry all the above mentioned tools. It is their flagship product, their first push into the retail market, and arguably their most adaptable product. All the things I’ve mentioned so far fit nicely in this little pocket. From belts, to waders, to larry chairs, to cargo shorts; the Poquito will adapt to keep those tools accessible and away from fly line entanglement. Fly Rod: For beginners and seasoned anglers alike, I’d suggest this rod, the Eagle Claw Featherlight. This particular one is the 5/6 weight 8 foot rod which almost feels like an 6/7 or a whippy 8 weight. I can’t speak to the rest of the models. It looks like they changed the design of the offerings this year, and while they are listed as the same rod, there are some pretty big differences in appearance that would alter the performance. A little ebay searching led me to find my favorite, the 6’6″ 4/5 weight. If you’re looking for a rod that stows away in a toolbox, rides well in a kayak, or need to cast under a canopy, that’s the rod to use. Fly Rod: My first rod was an Okuma Crisium 4/5 weight. It’s a traditional two-piece graphite rod with an up-locking reel seat and a medium-fast action. It’s also a true 4/5 weight. Don’t over-line this rod, it will effect the action negatively. It served me well for a very long time. I finally hung it up because its sentimental value was worth more to me than fishing the rod. I strongly recommend this rod for anyone looking to expand their collection. Fly Reel: If you’re looking to keep it cheap, or you’re buying for a kid, a new Martin Clicker is the ticket and balances well with the Eagle Claw. They are pretty simple in design and operation, enabling them to take a lot of abuse and keep clicking. If you want to spend a little more, provide them with a lifetime warranty, or just want them to have a “Name-Brand” reel, the Ross Eddy is only $48.98 with shipping. Fly Line: If you’re rounding out the package on the 5/6 Eagle Claw, then this is the line for you. Scientific Angler’s Frequency WF-6 Line in the Magnum taper. At $49.81, this is pretty cheap where name-brand line is concerned. If that’s too steep, then WF-6 Air Cell line from SA is only $23.07. Flybox: Every angler needs a way to keep their flies. If you go to a big-box store, you can find several choices. Tacky Fly Boxes are the best crafted packs out there. $19.94 makes these good stocking stuffers. Wading Boots: I use these by Chota for cold water/winter fishing. They are simple, durable, and cheap. They are felt-soled which aren’t allowed in some states. Felt soles can carry invasive species from one water body to another more readily than other styles. The plus side is they have the best traction on free stone rivers and streams. When you’re fishing in the saltwater, I recommend a pair of Converse Chuck Taylors. Waders: I don’t know much about all the different waders out there. Honestly in central Texas I hardly ever need them. I know Magellan waders from Academy last about a season before they need to be repaired, and so did my discontinued Simms. Whatever brand you find buy waders with reinforced knees, a belt, and neoprene feet. Similar to these Frogg Togg waders. Stay tuned for the next installment soon! Most of the low cost fly lines out there come with no spool and are usually just wrapped with 2 twisty ties and put in a bag. When I read reviews for these cheap lines the most common complaint I read is the line gets all tangled and knotted while trying to put the line on a reel. Here is my simple solution but it may require the purchase of a previous line that came with a spool unless you can scrounge one from a friend. (editor’s note: Fly shops generally have a few on hand, too.) The fly line spools are usually able to be split apart. Be sure to place it over the larger side of the inner spool so you do not squish your line. Boom. Now you can put it on your reel nice and easy. My Maxcatch V-Explorer 6wt cheapo Chinese rod and line review. $24 for the rod and $7 for the line shipped. Today I came home to a package at my door (12 business days from ordering) and I got a little excited like I always do. The clear plastic tube was harder than I expected and was wrapped in bubble wrap, foam, and tape. I was expecting the cheap plastic sheeting that is usually stapled together and used for packaging but it was not. The tube is actually pretty solid with the caps on. At first glance you can see that the quality control is non-existent. There are many flaws in the rod itself and many missing thread wraps on the guides. They also overdid it with the epoxy in a few spots (may be a good thing with the missing thread?) and it looks pretty sloppy. I haven’t removed the plastic from the cork handle but you can see that it is mostly filler. We will see how it holds together with a wet hand. I have sent back a Cabela’s RLS rod before because of this very problem so I guess it will be no biggy for a $24 rod without a spine. Yup, there is no spine, some pieces want to bend one way while others prefer their own way. The line looks and feels like a typical low-cost line. The coating even seems to slide over the under-filament (whatever it is?) like they thread it in themselves. It has 2 loops but the inside line does not extend all the way through. Where the loops are bound to the side of the line there is a void inside and the coating kinda folds like an empty hose would. I doubt the loops will last and do not trust them so I will switch to a nail knot. No water test yet (not for a few weeks) but I did take it out back. On Aliexpress they advertise the rod as a fast action but on eBay they categorize it as moderate fast. I disagree with them both and would call it a medium/moderate action. Though it does mostly flex like a moderate/fast it does bend a little deeper, even deeper than my CGR 7/8 does. My opinions can be flawed though because I have been only throwing a BVK for the past few weeks and my judgement is off. With their 6wt line on it I was throwing 60 feet easy but it is hard to get a tight loop and the wind was getting me beyond 60. Any target within 60 feet I could hit easily and the rod was even able to make a decent roll cast off of the grass. Hey! For 24 bucks I shouldn’t complain. It can cast a line and I wouldn’t cry if I lost it while kayaking. Eagle Claw Featherlights are a much better buy. If you already have a Featherlight, hey these are cheaper. This is easily the best damn fly rod for the money. I mean seriously. This thing is $29.99 retail. You know how much the warranty cost of a TFO, Ross Worldwide, or G. Loomis is? $30, $50, and who knows? Essentially, you have the same warranty with Eagle Claw as those other rod companies. But how does it perform? It’s wrestled a huge smallmouth buffalo, several carp, plenty of bass, a couple of schoolie specks, some puppy drum, and several longnose gar into submission with no issues. The proof is hidden in my instagram stream. Essentially, it performs great. They always feel better for me over lined one or two weights, depending on the model. There are a bunch of different models too. These are Parabolic, Fiberglass, Fun rods. Short with a sweet action, and an even better price point. There is no such things as buyer’s remorse with this fly rod. Buy One Here, or don’t. I’m a link, not your supervisor. I’m starting a new site! I love fly fishing, but I don’t love the associated cost. This site is going to be set up to help provide a discount path to fly fishing nirvana. I’m sure it’ll ruffle some feathers, but I’m game. Enjoy.